Everyone loves a good day at the spa! But the one thing that would make it even better would being able to schedule your appointment via the internet. ScheduleThing is just the tool to be able to make your day at the spa even better! Any type of spa is a busy and bustling place on a daily basis. There are appointments to be made, equipment to clean and use, employees to schedule and much more. In order to make all of this go smoothly and to save time and energy, ScheduleThing can be incorporated into any spa’s way of booking and scheduling. 1. Connecting with customers: anyone booking an appointment can view all available times and days. Instant updates to customers dealing with their appointments. Easy to cancel or reschedule. 2. Scheduling all kinds of appointments: massages, acupuncture, manicures/pedicures and etc. 3. Manage all of the equipment and tools: keep track of all tools and equipment that is needed for each appointment. Coordinate employees need for certain tools. 4. Expand the spa’s reach to potential customers: easy for customers to share the link with friends and potential new customers. 5. Customizable online page: unique URL for booking site. Customizable logos/formats/styles/images. Upgrades available. Sign up now and start using ScheduleThing at your spa! Photographers are always on the go, taking pictures of all kinds of clients in a variety of locations. Because of their hectic schedules, photographers need to stay organized and keep a calendar with all of their appointments. This is where ScheduleThing comes to the rescue. This online scheduling software takes care of everything and decreases the time and energy that is spent on calling around to venues, clients and anything else needed for a photo shoot. 1. Schedule locations: multiple locations or studios can be part of the scheduling options. 2. Manage equipment: resources that are needed during shoots, such as lighting, backdrops, wardrobes, and any kinds of props are able to be organized and arranged so it is easy to reserve what is needed. 3. Book individuals: clients are able to choose their specific photographer if multiple photographers are available. 4. Connect with clients: automatic emails are sent to each photographer when something is booked. Clients are able to see times and days that are available to be reserved. 5. Customization: unique URLs are given to each site while the logos/format/layout/images are completely customizable. In the need for a new salon? Do you work in a salon? Any type of stylist in a salon can benefit from the organization that ScheduleThing provides. 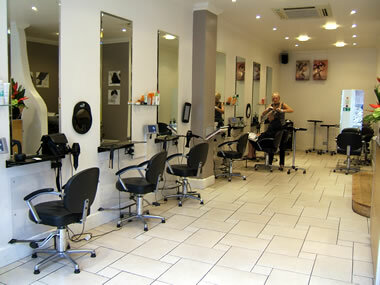 Salons are busy places with many employees who have their own client list which need to be booked and scheduled. 1. Connect with customers- the clients of each stylist can book, reschedule or cancel their appointments on their own time based on their stylist’s availability. 2. Schedule all kinds of appointments- resources/materials can be booked by clients (coloring tools, special treatments, special occasion styling…) and appointments can be limited so no one is ever overbooked. 3. Update staff- email updates are sent to each stylist when a client has changed something to their appointment. 4. Customization- unique URLs are given to each stylist, logos/styles/layouts/format are all customizable. 5. Expand your reach- clients can instantly schedule appointments and it is easy for clients to spread the word and share the booking site with potential customers.